K Spa is a holistic haven where mind, body and spirit converge to create an unforgettable moment in time. Have a look at our treatments and book yourself in for some relaxation time. Enjoy some quality time in our unique Wet Spa featuring London’s first Snow Paradise, as well as sauna, sanarium, steam room, foot baths and Hydrotherapy pool. Please note that the spa facilities are for adults only (over 16). For more information on what to bring and our spa etiquette, click here. Wet Spa access is subject to availability. Please inquire with the spa team prior to visiting. If you are booking a treatment as a Friend of K West, please book by emailing spatime@k-west.co.uk. Hotel guests fees: Hotel guests can enjoy the Wet Spa for just £20 per person. Book any 50-minute holistic spa treatment per person and receive complimentary Wet Spa access. Early Risers and Night Owls: from Monday to Friday, hotel guests can access the Wet Spa for just £10 between either 7.00-9.00 or 20.00-22.00. Non-residents fees: You can enjoy our Wet Spa for £50 (Monday - Friday). 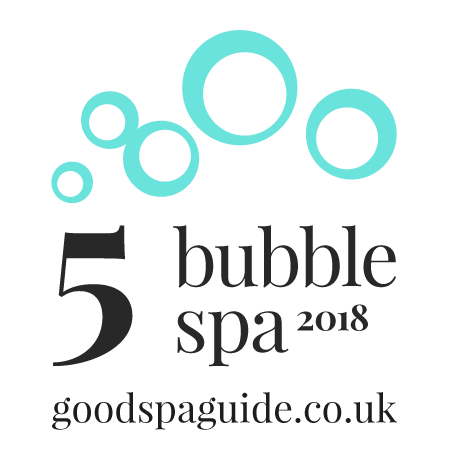 Alternatively, book two hours of holistic treatment per person and receive complimentary access to the gym and the Wet Spa for free or with any 1-hour holistic treatment there is a charge of £25 per person to use the facilities. A Spa Day, including use of Wet Spa, gym and light lunch can be booked for £65 per person. Spa Shop: Looking for the best products and gifts? The spa offers a wide range of products and gift sets. We also have a great selection of gift vouchers, the perfect present for the person who has everything! These can either be purchased at K Spa or here. K West Hotel & Spa is the edgiest, luxury boutique retreat in West London. We’re brilliantly positioned for quick and easy access to bustling Shepherd’s Bush. And perfectly located for Notting Hill Gate and West Kensington. Experience K Spa, where mind, body and spirit converge to create unforgettable moments. After a hard day’s shopping – or a hard night partying – our holistic haven will soothe your weary limbs. 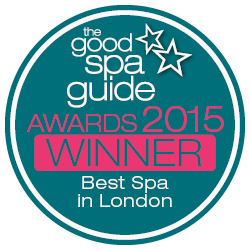 The best, most beautiful spa in West London, K Spa features a sauna, sanarium, steam room and Hydrotherapy pool. Treat yourself to a day of luxury and sample our unique Wet Spa featuring London’s first Snow Paradise! Book some well-earned relaxation and choose one – or two – of our in-house beauty treatments. Meanwhile, gym bunnies will love our sleek and stylish K Fit gym, which is complimentary and open 24 hours for all guests. We’re a short jaunt from all the action of the buzzing Westside, right next to Westfield and near to Holland Park, White City and Barons Court. All around us, you’ll find the top shops, pubs and cocktail bars, the best restaurants and clubs – perfect for an action-filled, luxurious city gateway. If you’re looking for a cool and edgy, yet divine and relaxing, retreat: you’ve just found it. Looking for the best gift ?